While searching for words to describe the gravity of the problem of global food waste for a recent speaking engagement, I recalled an article from the New York Times last year entitled “The Conundrum of Food Waste.” That phrasing is on point: food waste is indeed a conundrum. Multiple reports indicate that food waste across the globe ranges from 30 to 50% of annual food production. A study by the Institution of Mechanical Engineers puts the total at between 1.2 and 2 billion tons of food annually. Yet at the same time, nearly one billion global citizens are hungry (including 50 million in the US) and, according to FAO, nearly two billion may suffer from micronutrient deficiencies. The scale of the missed opportunity to do what seems so obvious — reduce the waste and redirect that excess food to productive use — is astounding. The problem of global food waste is often discussed in terms of developing countries versus industrialized countries. Much of the food losses that occur in developing countries occur between harvest and market. Lack of infrastructure, including cold storage and rapid transportation capability, results in food spoilage before it gets to market for consumption. While regrettable, such losses are understandable to a degree as these nations struggle to catch up to the rest of the world in terms of infrastructure and technology. Once at market, little food is wasted in developing countries because the food is simply too valuable. 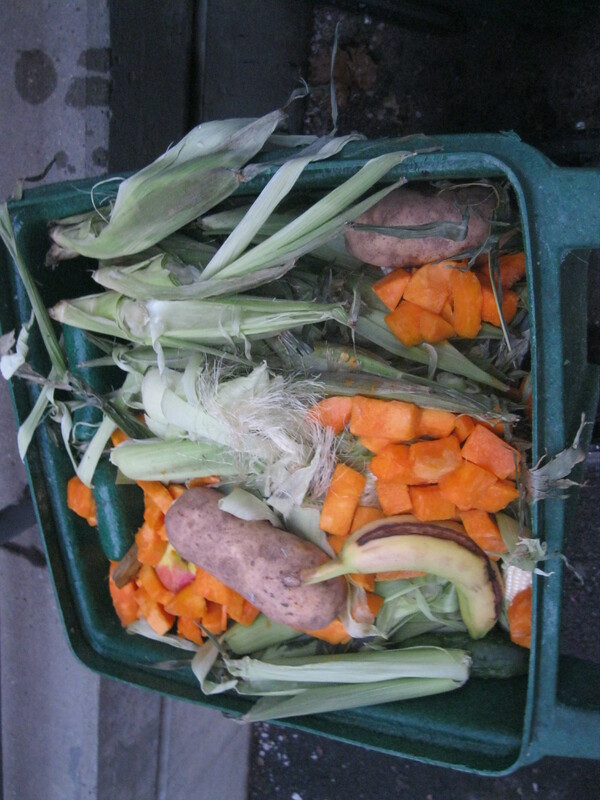 On the other hand, much of the food wasted in the developed world occurs at market. This is where the conundrum theme really kicks in. Despite widespread hunger and rising obesity from a lack of quality calories among the food-insecure, millions of tons of food (including fresh produce, dairy products, meat and seafood) are discarded annually. Much of this waste occurs due to highly selective consumers who are conditioned to seek only “perfect” produce — fruits and vegetables of uniform size and without a single blemish. As a result, excessive amounts of high quality produce go to waste. The focus on perfection extends back through the food supply chain as well. Millions of pounds of nutritious produce are culled out at farms due to size and shape irregularities without ever being packed for transportation to market. In the absence of donation relationships with food recovery agencies, much of this waste either goes to landfill or is plowed back under in fields. Overstocking of store shelves by retailers to create the impression of abundance, along with high levels of “accepted” losses in the effort to create an attractive shopping experience, compounds the problem. Along with produce items, shoppers expect multiple varieties of breads and baked goods to be on store shelves at all times. At the end of the day, much of those items are discarded as well. Fear of liability gives everyone in the food supply chain the incentive to avoid displaying food that is approaching its sell-by date, even though that food is still perfectly edible. Prepared foods are often discarded on a time schedule and replaced with new items to ensure maximum freshness and visual appeal for potential customers. For example, I have now twice seen an employee of a high-end food store quickly “fold up” nearly whole pizzas and toss them into a trash can. The practiced motion with which she folded the material had an element of geometric precision to it which reinforced an unfortunate theme: it is simply too easy (and relatively inexpensive) for retailers to discard food. In the same store, I once tried to purchase a lone breakfast sandwich that had apparently reached its time limit. That too, was pegged into the trash can with a practiced motion despite the fact that I stated that I would be happy to buy it. Sadly, in neither case was this food considered for a donation program despite the fact that it would be relatively easy to pack and transport such items. Beyond the missed opportunity to redirect this excess food to the hungry, wasted food equates to wasted resources — particularly critical soil and water resources. Further, we harm the environment (think air and water pollution) by discarding excess food in landfills, and we utilize additional resources in the disposal process. Food waste is a conundrum, and it is also a critical global sustainability challenge. Increased awareness and behavior change throughout the food system are essential to resolving what seems so obvious: reduce the waste, and redirect excess food to productive purposes (starting with feeding hungry people).